Whether you're sanding down your deck or starting major home renovations, a decent pair of safety goggles is a must. The reality is you only have one pair of eyes and you should do everything you can to avoid damaging them. When you're buying safety glasses, you need to ensure that they'll be comfortable to wear for long periods, as well as providing a good, close fit – there's nothing more irritating than having to keep pushing your eyewear back up your nose. If you wear prescription glasses, you'll want to look for safety eyewear that is designed to be worn comfortably over the top of your regular glasses. If you work outside, you'll want safety goggles with UV protection, and that don't cause glare in direct sunlight. In a busy workshop, an anti-scratch coating is invaluable, and will prolong the usable life of your goggles. Designed to be worn over prescription glasses, these safety goggles are adjustable, offering the perfect, complete-comfort fit you need when you're wearing protective eyewear for long periods. They are a little awkward to fit over large-framed prescription glasses, such as the bulkier designer styles that're currently in vogue, but if you're not fussed about fashion, these should go over most glasses just fine. With an anti-scratch lens coating and UV protection, these are functional, durable safety glasses that look good, and do their job. Do be aware; they're not the best for people with very small noses! In general, however, they are comfortable to wear, although you do experience quite a bit of glare when you're working in direct sunlight, meaning these may be more suited to the shop than the deck. These are an affordable option for indoor, workshop glasses, especially if you need something you can wear over prescription spectacles. Designed to fit over most standard-size prescription glasses, this safety eyewear is clear and comfortable, although it does feel cheaply made – not surprising, given the low price point. A lightweight, affordable option, these goggles are best used indoors, as they do cause glare in direct sunlight. 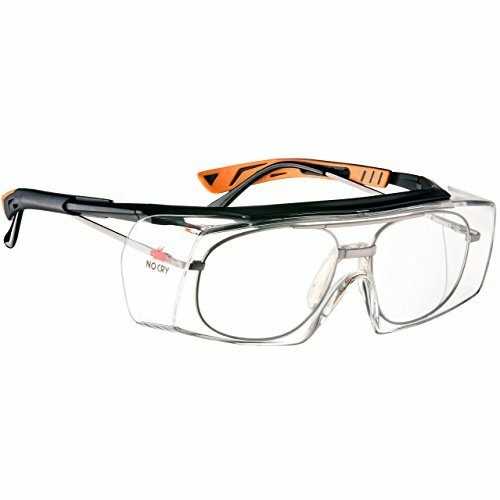 An incredibly low price point option, these safety glasses are ideal for the casual wood or metal worker who wants to have a pair of safety specs ready to hand. Also a good pick for employees who are required to wear eye protection, but aren't too bothered about aesthetics and enhanced performance. While these stylish protection goggles aren't suitable for wearing over prescription glasses, they are a good, affordable option for the casual home improvement enthusiast or woodworker who is simply looking for some basic protection while they work. If you use ear defenders, it's worth noting that these glasses aren't particularly comfortable when worn with safety ear muffs. If you're looking for protective eyewear for outdoor pursuits, such as mountain biking, these are not suitable, as they have a very limited field of peripheral vision, and do tend to fog quite quickly. Cheap, stylish, and basic. These are fine if you're looking for “just in case” safety specs. 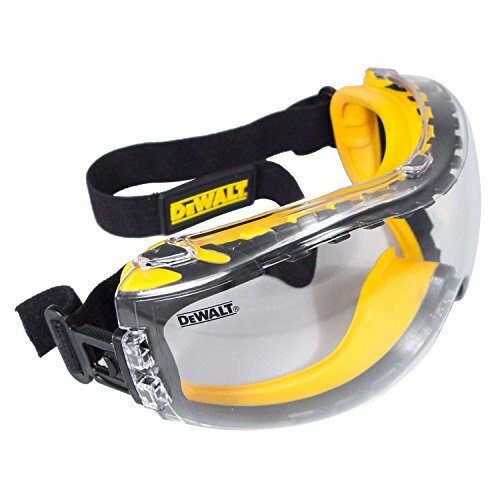 One of the big names in the tools and trades business, these DeWalt safety goggles look the part. They feature an adjustable, elastic headband for comfortable, all-round fit for almost any individual. Coated with DeWalt's Tough Coat anti-scratch lens surface, these give the impression of big, tough, ready-for-action protective eyewear. However, the vents at the top and bottom of the eyeglasses, designed to ensure you stay cool whilst wearing them, make them unsuited to sanding, as small particles of sawdust work their way through the vents, causing irritation and potential eye damage. The glasses also fog very easily; this is mainly due to difficulties inherent in creating fully fog-free glass that can adapt to any environment, rather than a major design flaw, but is worth being aware of. These safety glasses also don't fit well if your work requires you to wear a respirator mask. Cheaper, more functional options available. 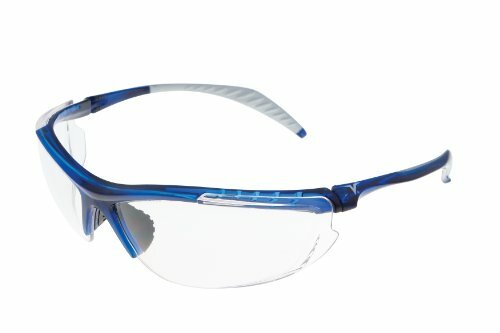 Ideal for the small business owner whose team need functional safety eyewear but who doesn't want to break the bank, these stylish, scratch-resistant safety glasses offer a good fit and UV protection, with an impressive durability. 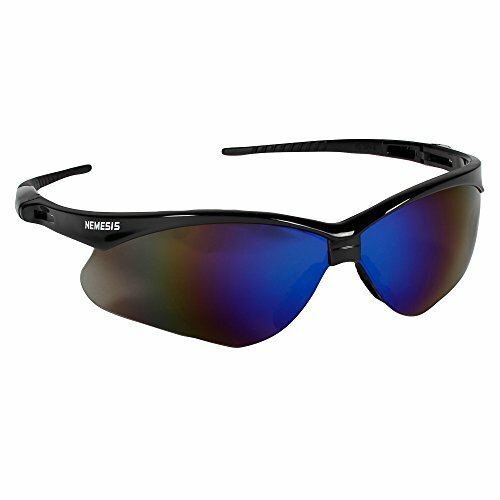 They do feature tinted lenses, however, so may be more suited to crews working outside. Definitely worth it if you need to provide several pairs of safety glasses.